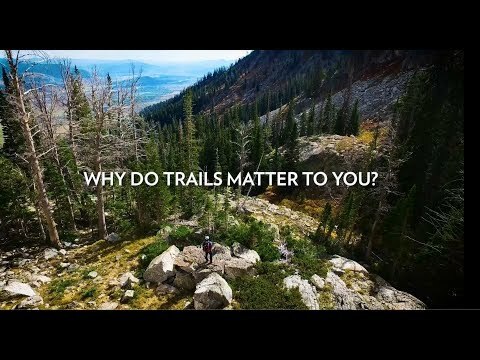 Why do trails matter to you? America’s National Forests contain more than 158,000 miles of trails. That’s enough to circle the equator of the Earth more than six times! Our National Forest trails include world-famous routes like the Appalachian Trail and the Continental Divide Trail and favorite local trails like the Misty Moon Trail and the Bear Hole Trail. These paths lead to stunning mountain peak views, to secluded lakes and along burbling streams. If you were able to walk every one of our National Forest trails at a steady two miles per hour, it would take you more than 9 years of continuous 24-hour-per-day hiking to tick off every one of these trails. This year marks the 50th Anniversary of the National Trails System Act, and to celebrate this anniversary and all of the incredible National Forest trails, the National Forest Foundation is launching the Summer of Trails crowd-funding effort. Our goal is to raise $500,000 from America’s devoted trail fans. The Forest Service will match all donations the NFF raises through the effort, up to $500,000! That means, if we're successful, we’ll be able to invest one million dollars in critical trail maintenance on America’s beloved National Forest trails. It’s an ambitious goal, but with your help, we can make a real difference for our trails in 2018. For the price of a post-hike beer or a bottle of Gatorade, you can help us reach our goal. Think back to the last time you hit up a trail on your local National Forest. Did you climb to a shaded overlook? Did you beat your friend to the top? Did you just amble along and enjoy the hike? What are these memories worth? $5? $10? $50? $100? If you find this campaign inspiring, share it with your trail-loving friends and family. Challenge them to give. Set a goal for your hiking group, maybe $1 for every trail mile you tackle in June. The Forest Service estimates that 84 million people use these trails every year. Imagine how much we could help if every person gave just one dollar!